Kindhearted Katherine Grey knows well the peril of being born with royal blood. 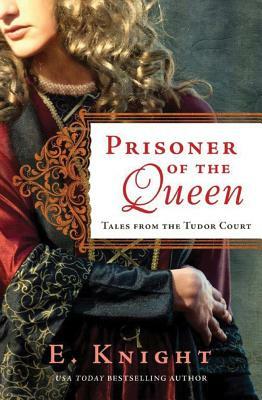 As Henry VIII's grandniece and one of the heirs to the English throne, her noble birth has doomed her to live among the schemers and seducers of the king's court--barring her from the peaceful life that she truly desires. After her sister fails to keep the throne, and a new queen rises to power, Katherine finds herself surrounded by adversaries. Since Queen Elizabeth sees her as a threat, and court conspirators see her as an ally, Katherine is forced to play a game she knows she cannot win. And when she reunites with the man she truly loves, Katherine has even more at stake. With treachery at every turn and the life she dreams of within reach, Katherine must make an impossible choice: Will she submit to the queen's authority, or will she pursue love no matter the cost?